Isn’t it fascinating to see such an extraordinary design for a hanging chair? How not to love this chair?! This contemporary basket chair Kata was designed in 2003 by Enzo Berti for Ferlea , the Italian furniture manufacturer which has made a strong presence in the market since 1960’s and has worked with well-known designers including Aldo Cibic, Rodolfo Dordoni and Alberto Livore. 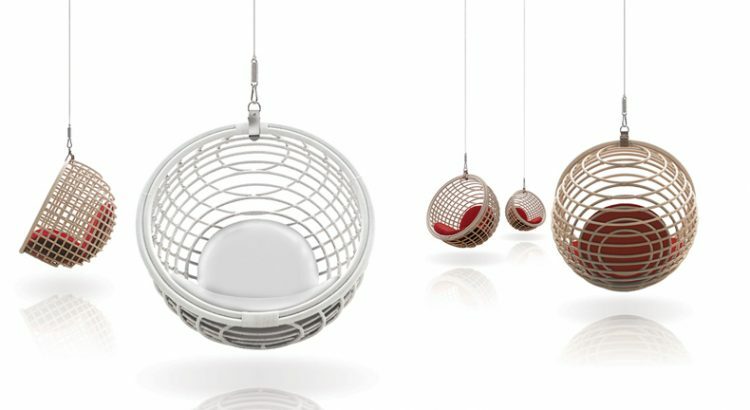 The sturdy ball-like rattan seat with a height of 60 cm and a depth of 47 cm, is suspended from the ceiling by way of a stainless steel suspension system. What did inspire the Italian designer? Supposedly it is based on a chair seen by Berti in Ringo Starr’s house in the early seventies. The designer was there not as a house guest but as a minicab driver and get inspired for this great artwork. 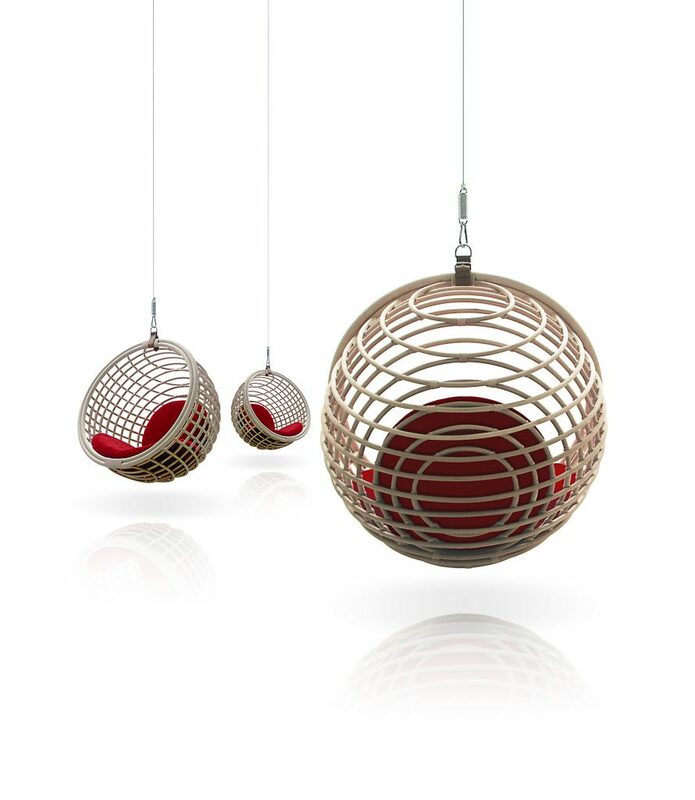 With its spherical shape and line, Kata Chair reminds of the famous Bubble Chair by Aarnio Eero. He successfully combined the minimalist visual factors with the sturdy warmth of rattan. Contrary to the other fashionable or eye-catching pieces of furniture that overwhelm aesthetically, but fail in terms of comfort, the hanging KATA chair successfully combines design and convenience function. It allows a sitting position that is certainly cozy and natural so it won’t leave you hanging when it comes to relaxing purpose. Those who own this beautiful hanging basket chair know that it is the most talked about and the most used piece of furniture in their home. And relaxing in there is an incredible experience, just like floating on air.